IT’S A TRAP! No three words have ever defined a character in a movie than those spoken by the fish-faced Admiral Ackbar in Return of the Jedi. The phrase has spawned countless amusing spins, like It’s a Crap!, It’s a Frappe!, It’s an Elaborate Ruse! and an entire episode of Family Guy. 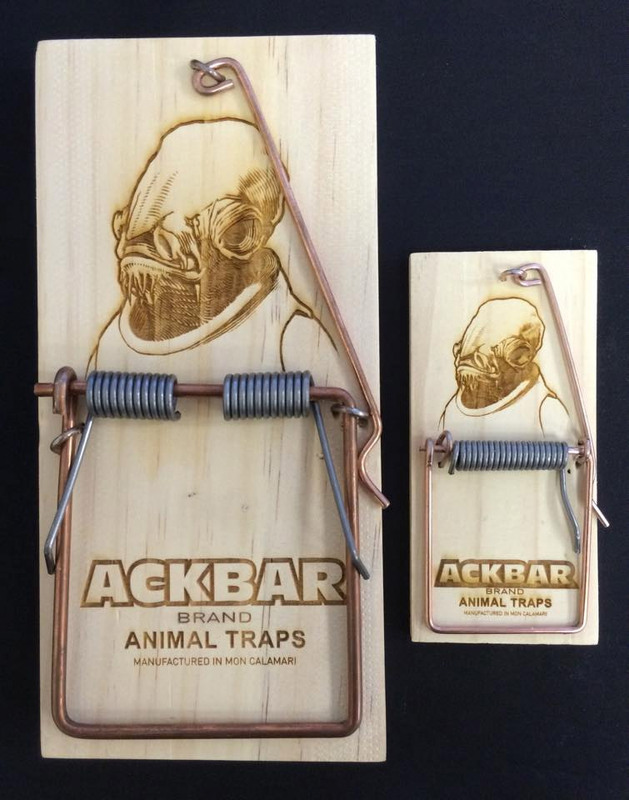 And now, we have what could be the most literal interpretation of the It’s a Trap meme, mousetraps done up with the image of Admiral Ackbar himself, made by artist Cullen Sweet. I especially like the “Manufactured in Mon Calamari” bit. Nice detail, Cullen.